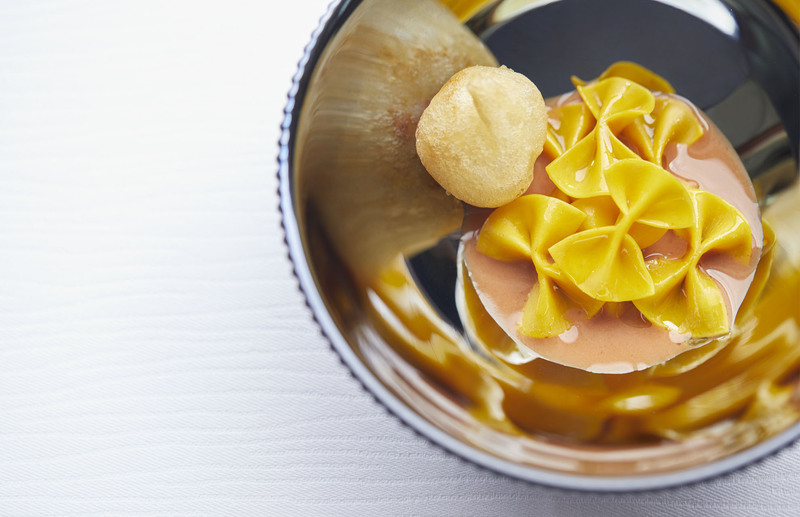 Michelin-starred Oro serves up an extravaganza for all senses. 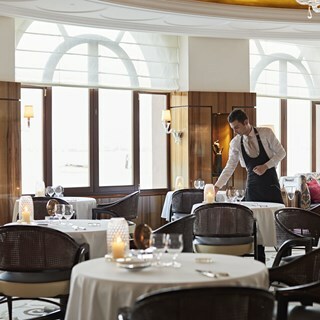 Designed by acclaimed interior architect Adam D. Tihany, the restaurant's interior exudes Venetian refinement, while an inventive Italian menu sings with culinary creativity. An explosion of sauces speckled across a Venetian platter. Sumptuous seafood in a sea of rainbow-hued vegetables. 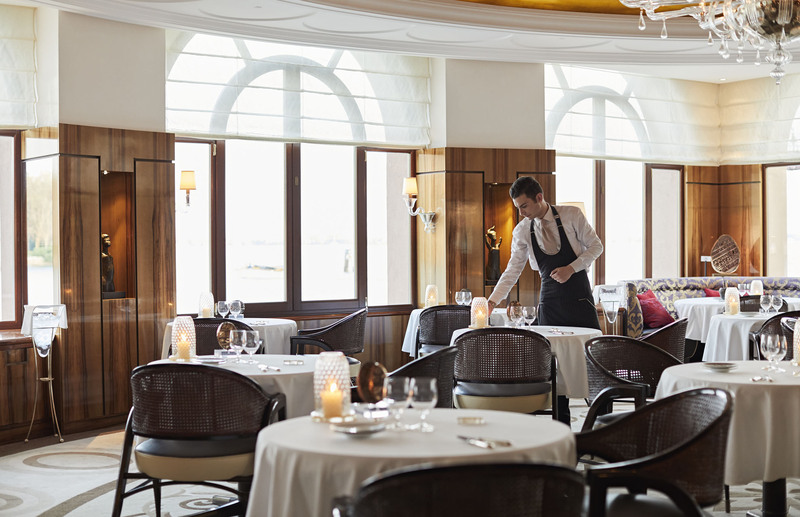 Consistently pure flavours paired with imaginative flair form the basis for one of the best restaurants in Venice. Inspired by Executive Chef Davide Bisetto’s passion for modern art, each Jackson Pollock-style masterpiece is a multi-sensory delight. Pair each flamboyant dish with wines from an extensive list. Beautiful dining room which is a perfect reflexion of venetian refinement. But that is all... We were very disappointed by the food served in the ORO3 menu with wine pairing. There was no explosion of flavour, the "seiche or lard" with a spoon size of petit pois écrasé, was bland, the tomato gnocchi  tasted like baby food in a jar and we sent it back, and the summum of bad taste was the apple tart served with a light blue cheese cream sauce!!! We are a french couple and travel around the world visiting Michelin starred restaurants, so I feel that I know what I'm talking about. The wines served with the different dishes were rather uninteresting and some did not marry well with the food.The sommelier  will have to improve his english, it's impossible to understand his explanations, which is very disappointing when you go to a restaurant like Oro to appreciate the wines! At the end of our meal the sommelier  just served us one glass of white wine, one glass of red wine, put them on the table without an explanation and walked off! We had to ask the chef de rang what was in our glass and with what dish these wines were paired. Absolutely not professionnel ! The staff realized that we were not happy at all and tried to catch up on this performance below par by offering to take us to visit the kitchens, but we refused. On the whole, we deeply regret having spent over 600€ for this meal and would have been so much better off spending less in a 2-3 starred restaurant like L.Auberge de l'Ill in Alsace, restaurant Lasserre in Paris, la Mère Brazier in Lyon, or the fabulous  Le Belcanto, 2 étoiles Michelin in Lisbonne, or at least another 20 restaurants which I will not name now. 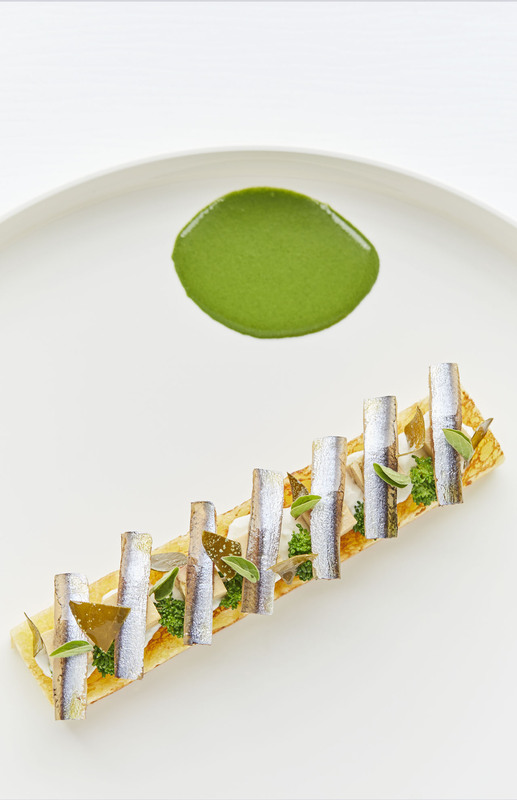 Trying to create too much, the chef has overlooked the main ambition in cooking, and that is to bring excitement, pleasure and an explosion of flavours with each dish. My wife and I dined at Oro last night, as part of a weekend at the Cipriani which was truly memorable. 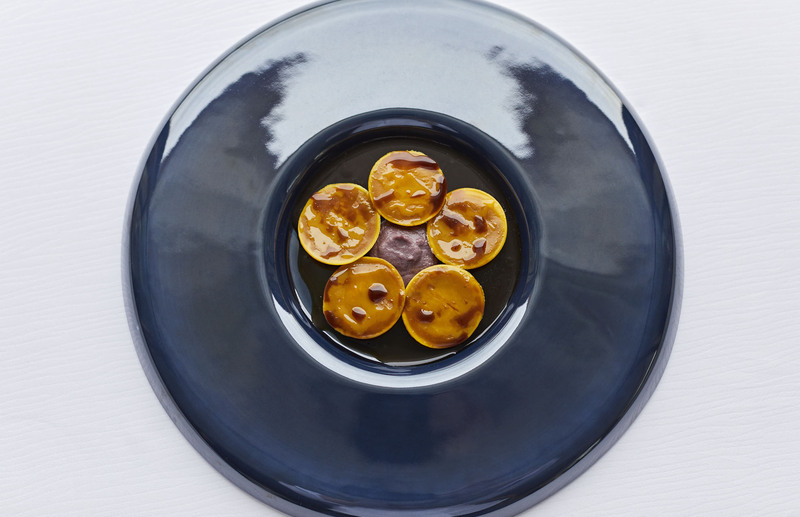 The food at Oro is breathtakingly clever and beautifully presented, but if anything is bettered by the service...the head of the restaurant (and his staff) could not be more conscious of the comfort and enjoyment of their guests. Genuinely a fabulous experience, and one that I hope to repeat soon. Thank you to all at Oro. An absolutely fantastic meal, wonderful service, food and wine. You made our trip very special. Problem with bill quickly sorted! Informative, well trained, friendly and efficient staff along with the superb food (we had the Oro tasting menu) made for an unforgettable evening celebrating our ruby wedding anniversary. Soirée d’anniversaire absolument parfaite ! Très beau lieu, accueil et service chaleureux et impeccables, cuisine de haut vol digne de 2*, menu Oro original suscitant de belles émotions et super accueil des enfants. Ces beaux moments resteront gravés dans nos souvenirs, merci à toute l’équipe Oro! Service was amazing. Food was good but not spetacular. We were expecting a bit more! The dinner at Oro in Venice was greatest possible way to celebrate my 60th birthday, Thank you all chefs, patrons hosts, waiters, interior designers, and other staff including the boat captain too. Food and service was outstanding. Made our time in Venice very special. Food and and wine outstanding good. What an amazing dinner this was! I took my clients there and we had a wonderful time. Service was impeccable- they kept bringing us more and more dessert and even had special chocolate souvenir gifts for the ladies. One of the best dining experiences I've ever had! We loved the setting and the service was exemplary. The dishes were unique and very interesting. Thank you for making a great night very special. Magical evening. Service was outstanding. Efficient yet helpful and friendly. I truly felt welcome. The food was outstanding. Will highly recommend and look forward to returning. All of the staff was wonderful! Great food, service, and experience. wonderful experience, really high Quality Food, peaceful and silent atmosphere, excellent Service (already starting with Reservation Service), regarding Clients wishes.